Secretary of Defense Ash Carter (center) speaks with Army Lt. Gen. Sean MacFarland (left), Commander Combined Joint Task Force-Operation Inherent Resolve, as they fly to the Green Zone in Baghdad, Iraq in a UH-60 helicopter to meet with Iraqi leaders on Apr. 18, 2016. Chief of Staff Eric Rosenbach is also pictured. That plan had become reality, and I was there to see it in person. Iraqi forces, with the support of a U.S.-led global coalition, had seized Q-West just as planned. In fact, the campaign plan that had unfolded on the battlefield was the same one I had presented to President Obama the previous December. I had been looking at Q-West on campaign maps for a long time. Understanding the campaign requires going back to my time as Deputy Secretary of Defense. When I departed that job in 2013, the Pentagon faced a daunting set of challenges: growing threats from Russia, a continuing war in Afghanistan, destabilizing regional actors such as North Korea and Iran, a strategic imperative to rebalance defense resources to the Asia-Pacific region, and more. All these had been priorities for me since 2009, when I had become Undersecretary for Acquisition, Technology and Logistics, and continued as priorities when I became Deputy Secretary in 2011. By the time I left in 2013, Abu Bakr al-Baghdadi, the barbaric head of a terror group called the Islamic State of Iraq, had no large base of territory or power, but was seeking to gain power and influence by merging with other extremist groups. In the year I was out of government, between leaving the deputy secretary role and becoming Secretary of Defense, Baghdadi’s group had emerged, suddenly and unexpectedly, as a major threat. Shortly after I left the Pentagon, Baghdadi’s forces shocked the world by seizing control of Fallujah. Baghdadi had taken advantage of the power vacuum and sectarian strife in Iraq that followed the departure of U.S. forces in 2012—a departure that, as Leon Panetta’s deputy, I had argued against—along with Leon, Michele Flournoy, and the Joint Chiefs. An agreement reached with Iraq during the Bush administration called for withdrawal of all troops by the end of 2011. Over Christmas of 2011, as that deadline approached, I participated in conversations with the White House and State Department to try to preserve some sort of U.S. military presence that could remain engaged with Iraqi forces. Iraq was refusing to grant legal protection to U.S. troops who would stay. My own view was that the legal debate was made more difficult by the fact that a pullout was politically popular in both countries. On Christmas Day I had called Leon, who was in California. I apologized for bothering him on the holiday. He said it wasn’t a problem—“I’m just cooking sausages.” I had to tell him, “Boss, I’m not getting anywhere with this.” Leon told me to hang in there and do what I could. At one point in the discussions, the State Department declared that it intended to “normalize” its embassy in Baghdad, making it more like embassies in India or Saudi Arabia, where our major national security focus was arms sales. I pointed out the difference between those countries and Iraq: We hadn’t invaded India or Saudi Arabia. As the clock wound down, I remember being asked by another senior administration official, incredulous, “Don’t you get it?” The message: There would be no residual force. I needed to move on. I believed then, and still believe, that if the governments of Iraq and the United States had been able to reach agreement on a small but meaningful residual force, it is possible that we could have averted much of the violence that followed. Such a force, to advise and assist Iraqi forces in keeping order, could have provided some ballast to an Iraqi military that dissolved under ISIS pressure. One cannot say for sure, because many other powerful factors contributed to that failure: sectarianism abetted by Prime Minister Nuri al Maliki, Iranian meddling and more. Ultimately, Iraq’s government failed to meet its basic obligations to its people in allowing ISIS to rise. But leaving when we did, combined with these and other important factors, made ISIS’s emergence more likely. By the time Denis McDonough called me in December 2014 to ask if I would fly to Washington to discuss with the President a return to the Pentagon as Secretary of Defense, ISIS had rapidly expanded its reach. It had seized Mosul, Tikrit, and wide swaths of Northern Iraq, key oil and gas fields, the cities of Raqqa and Tabqa in Syria, and important border crossings that secured its ability to move forces, money, and materiel between Iraq and Syria freely. It had openly declared an Islamic caliphate in Iraq and Syria, and announced its intention to expand into Yemen, Saudi Arabia, Egypt, Algeria, and Libya. Tens of thousands of foreign fighters had streamed into Iraq and Syria to bolster its ranks. And in an era of gruesome terrorist attacks, it had set a new bar for brutality, as evidenced by the savage executions of American journalist James Foley and British aid worker David Haines, its enslavement and mass murder of ethnic and religious minorities such as the Yazidis, its imposition of violently repressive rule over millions of Iraqis and Syrians, and its use of social media to foment hate and inspire violence around the world. In public statements at the time, military officers described ISIS as “halted”4 and militarily “in decline”5. While the United States had begun conducting air strikes against ISIS in September 2014, and had begun advising Iraqi ground forces, ISIS was not yet halted. Over the next four months, ISIS would capture At Tanf and Palmyra in Syria, and Ramadi in Iraq—a “battle” in which a small ISIS band chased away a much larger Iraqi force that simply refused to fight, a fact I bluntly stated publicly. The news was not all grim—as I was awaiting confirmation, Kurdish forces had ousted ISIS from Kobane, Syria—but good news was the exception. Meeting the ISIS challenge was clearly going to be a big part of my job as Secretary of Defense. It would not quite dominate my time as Iraq did for Bob Gates—who, when he took over in 2006, described his job as “Iraq, Iraq, Iraq.” But ISIS would be an important focus, and the issue that would receive by far the most public attention—more than Russia, China, Iran, and North Korea combined, and far more than efforts to modernize our personnel systems or rebuild bridges to the U.S. tech community, all of which I knew could have a lasting impact on the department and our national security, and which I was careful not to neglect. But for the media and for Congress, ISIS was the news of the day. Given that urgency, two days after I was sworn in, I flew to Kuwait, where I assembled all the military commanders, diplomats, and other civilian leaders from across the U.S. government—everyone associated with the problem. CENTCOM commander General Lloyd Austin was there, as well as his subordinate commanders, including Lieutenant General James Terry, the commander of what had been designated Operation Inherent Resolve just months before. So were combatant commanders from EUCOM and AFRICOM; presidential envoy John Allen and his deputy Brett McGurk; U.S. ambassadors from the region; and senior intelligence officials. We informally called this the “Team America” meeting. (We agreed to use that phrase only privately after my staff reminded me of an irreverent film of the same title). The goal was to hear not just what we were doing, but why—how the pieces fit together into a coherent strategy. The United States was bombing ISIS targets and trying to strengthen the Iraqi security forces, but I was deeply concerned by the state of the effort. I gradually concluded that despite the enormous talent and experience collected in the secure conference room at Camp Arifjan, the United States and its coalition partners lacked a comprehensive, achievable plan for success. Also lacking was a way to talk about the effort that could inspire the confidence of the American people or the publics of European allies who were at even greater risk from ISIS terrorism. The coalition lacked both useful tools to fight ISIS and a realistic assessment of the tools at our disposal, and was almost totally bereft of accurate intelligence about the enemy. It lacked clearly articulated objectives or a coherent chain of command for the operation. An American public stunned by ISIS successes, European nations concerned about ISIS terror attacks by their own nationals, a business community with rising concern about the effect on tourism and commerce—all these constituencies saw no plan to defeat ISIS and had little confidence in the campaign’s success. What would follow over the next 23 months was a massive reorganization in the planning, execution, and communication about the counter-ISIS campaign. During that time, the department developed a comprehensive and specific campaign plan that won the approval of the President, local partners, and the international coalition. The coalition waging that campaign would slowly constrict ISIS’s hold on territory in Iraq and Syria to the point where, when I left office on January 20, 2017, ISIS’s hold on Mosul and Raqqa was teetering. As I look back on the counter-ISIS fight, it divides into clear stages. From my confirmation in February 2015 until late that summer, we were still struggling to get a handle both on the operation and on how to talk about it with confidence—and to be forthright, it’s fair to say that we took longer than we should have to get our act together. In fits and starts during this time, the department began with slow but increasing success to address the weaknesses in the counter-ISIS campaign. In the second half of the year, we began introducing “accelerants” to the campaign that increased the pressure on ISIS and helped shape events to come. By the final weeks of 2015, after a key presidential visit to the Pentagon, Joe Dunford and I put a detailed military campaign plan before the President that offered a clear path to retaking Mosul and Raqqa. From that point, there was a clear public message on the strategic goals of the campaign and our methods of identifying and enabling local Syrian and Iraqi troops to lead the fighting by leveraging a relatively small footprint of U.S. and coalition forces. From then on, the job was aggressive implementation of the campaign plan, as city after city would be liberated from ISIS in accordance with the plan Joe and I had recommended to the president. That turnaround was due in part to some good fortune. We were fortunate that Iraq had competent leadership after the ascension of Haider al-Abadi as Prime Minister, along with the steadiness of Kurdish leader Masoud Barzani. When the time came, both men would make difficult but necessary decisions to enable the liberation of Mosul. More good fortune arrived in the presence of reliable partners in the Syrian Democratic Forces, or SDF, who would enable a series of victories in Syria with tremendous assistance from U.S. and allied Special Forces. Progress and momentum were also thanks to a lot of hard work by our military and civilian leadership. Senior officers such as General Joe Votel, the U.S. Central Command leader, and Lieutenant General Sean MacFarland, who brought much-needed unity to the effort, were essential. So was Acting Assistant Secretary of Defense Elissa Slotkin, who sat beside me through countless hours of meetings with coalition partners. She had skillfully orchestrated and met with scores of defense officials and political leaders in coalition countries to help them understand our plan. Those coalition partners were essential as well, providing military, financial, and political support to the campaign. I was grateful as well to my immediate predecessors in the job—Bob Gates, Leon Panetta, and Chuck Hagel, for the great strength of the U.S. forces I inherited, and grateful as well to President Obama, for consistently giving me his confidence and his approval of our campaign as commander in chief. At every event in this account, two people were present: Eric Rosenbach, my chief of staff, and Marine Brigadier General Eric Smith, my senior military assistant. “The two Erics,” as they became known, deserve great credit for the plan we put in place to defeat ISIS, and for much more we were able to achieve in the Department. In the chief of staff role, Eric Rosenbach was responsible for more than just corralling the OSD bureaucracy, which he did well. His own expertise, experience, and clear thinking—he is a former Army intelligence officer who co-wrote an excellent book on the transformation of U.S. counterterrorism policy after 9/11—made him an invaluable sounding board and adviser on all the challenges we faced, and in particular on planning the counter-ISIS campaign. Eric Smith was hand-picked by me for his combat experience, leadership acumen, and wide-ranging knowledge of military affairs. They will both go far in the years ahead. Most of all, the march to defeat ISIS was led, and continues to be led, by men and women of bravery and skill willing to place their lives on the line to protect ours: Iraqi security forces, Kurdish Peshmerga, Syrian Arab, and Kurd fighters, coalition partners, and of course the incomparable troops of the United States military. As always, nothing we could do from conference rooms in Washington or Brussels or Baghdad could substitute for their competence and courage. My first task in the counter-ISIS fight—before I could actually do anything—was to change the way we talked about it, beginning with the confirmation process that would make me America’s 25th Secretary of Defense. I was not comfortable with the language the United States was using to describe that fight around the time I was nominated. Officials spoke of the need to “degrade, and ultimately defeat” our enemy. While that phrase conveyed the reality that beating ISIS was a process and would take time, I wasn’t sure it fully spoke to the urgency of the task. I wanted language that made clear we were in for the long haul, but that, without chest-beating or braggadocio, projected purpose. During my Senate confirmation hearing on February 4, Senate Armed Services Committee Chairman John McCain, who had been and remained sharply critical of the U.S. approach, asked if we had a strategy to defeat ISIS. I had been an admirer of Senator McCain throughout my decades of work in and with DoD, and I counted him as a friend as well as a hero. And he had a point in pressing me. I answered McCain by describing our goal as a “lasting defeat” of ISIS. I used the phrase “lasting defeat” eleven times in my confirmation hearing and hundreds of times in the months to follow. I chose both words carefully. “Defeat” was more fitting than “degrade” and other weaker verbs—an enemy like ISIS, violent and without conscience, had to be defeated. “Lasting” reflected the lesson of the Iraq and Afghanistan wars of the years before, and contained the key to what would be a centerpiece of our strategy. As I told our own troops over and over in the two years to come, I had no doubt that they could have marched into Raqqa and Mosul and ejected ISIS. But sending them to do so would have been a strategic blunder. First, the United States would have done so alone—there was a coalition to defeat ISIS, but no coalition willing to re-invade Iraq or invade Syria with us. Militarily, such a strategy would also cede our unique advantages in technology, firepower, and logistics to play on ISIS’ turf—the streets of Iraqi and Syrian cities. Such an approach could well backfire and strengthen our enemy: Large U.S. formations back in the Middle East would undoubtedly have pushed some Iraqis and Syrians willing to assist in the fight, or at least to stay on the sidelines, into ISIS’ arms. And had we overcome all those disadvantages, the problem would have remained: How would areas liberated from ISIS have remained free? A defeat of ISIS by U.S. force of arms would be fleeting unless communities taken from ISIS could rebuild and secure themselves to prevent such extremism from once again threatening the Americans it was my job to protect. Another seemingly rhetorical puzzle with deeper significance would occupy a great deal of my time—the “combat” question. “Lasting defeat” required enabling local forces to reclaim territory from ISIS and hold it rather than attempting to substitute for them. That meant focusing U.S. forces on training, equipping, enabling, and often accompanying them. All of this involves risk and—of course—the possibility that U.S. troops would be in combat. Explaining a strategy that assigned primary responsibility for seizing ISIS territory to local forces, while also remaining clear about the danger and heroism involved for the U.S. forces enabling them, was a challenge. The president clearly wanted to reassure the American people that we were not involving ourselves in large-scale ground combat, and the people of the region did not want invasion-sized forces to return, either. But the avoidance of that word—“combat”—risked minimizing the risk and sacrifice of U.S. and coalition forces. With the press and above all with the troops, this hairsplitting didn’t fly. The press, eager to play gotcha, constantly searched for any hint of U.S. troops in “combat” roles or that they had moved closer to the front lines. There were, of course plenty of them. I didn’t even need to point every time to our growing operations on the ground; I could also point out that, in addition to what was happening on the ground—which we could not always reveal for operational security reasons—there was a massive air campaign under way in which U.S. and coalition aircrews were in combat every day. Every coalition pilot was just one incident away from injury, death, or capture. Every one of them was aware of the Jordanian F-16 pilot captured and horrifically murdered by ISIS forces. Our aircrews, like our ground forces, always seemed to appreciate when I pointed out that they were all unquestionably in combat. The raid in which Master Sergeant Wheeler lost his life was in fact an example of the kinds of operations we wanted Iraqi forces to conduct with our support—and of the risk inherent for our troops in training, assisting, and advising anti-ISIS forces. Wheeler’s unit was advising a Kurdish Peshmerga Special Forces unit that planned to assault a location where ISIS was holding prisoners and readying them for execution. The plan called for Wheeler’s unit to transport and support the Kurdish forces that would assault the compound, but to remain outside it. When the assault force arrived and Kurdish troops began to engage ISIS forces in their target building, they came under fire from a nearby building in the same compound. Wheeler did just what you would expect a brave, competent, highly decorated American soldier to do—he went to the aid of comrades in trouble. In giving his life, he helped rescue 70 ISIS prisoners whose graves the terrorists had already dug. Was the intent for him to join the front-line fight? No. His job was to orchestrate the planning, helicopter lift, overwatch, and U.S. firepower. But the battlefield is a chaotic and risky place, and I was keenly aware that every deployment order I signed in this campaign put American men and women in danger. When asked by a reporter about Wheeler’s death, I replied honestly: “Of course he died in combat.” I was proud of his actions, and I told the press I was proud. I would face similar questions, and answer the same way, when Navy Seal Petty Officer First Class Charles Keating was killed in May 2016. On each occasion, reporters portrayed the incident as “aha!” moments—that they had caught us conducting combat operations we had not disclosed. I would repeatedly make the point that I signed deployment orders for our personnel with the knowledge that we were sending them into harm’s way. The Pentagon press corps, many of whom had covered our past military operations in Iraq, never seemed to believe that we could succeed against ISIS with Iraqis and Syrians in the lead instead of Americans. They also never fully grasped that, even in that supporting role, our troops faced real risks every day. That reality was always on my mind. Like much of what any Secretary of Defense deals with, ultimately, this issue came down to people—the men and women on the battlefield, and their families at home. When I attended the dignified transfer ceremony for Wheeler’s remains at Dover Air Force Base, I met with his wife, who shared stories of how they had met and how he had been a rock for her and all those around him. She asked me: “Did he die in combat?” It was, understandably, incredibly important for her to know that. Some of his Army teammates who attended the dignified transfer ceremony asked me the same question. They knew, and they wanted their government to acknowledge, that their colleague and friend had died fighting the enemy. When I left the Pentagon, four U.S. troops had died in combat against ISIS in Iraq and Syria—Master Sergeant Wheeler; Petty Officer Keating; Marine Staff Sgt. Louis Cardin, who died in an ISIS rocket attack against a Marine artillery base near Makhmur; and Navy Senior Chief Petty Officer Scott Dayton, a Navy seal killed by an IED in Syria. In Afghanistan, Sgt. Adam Thomas died in an IED blast during operations against ISIS’ offshoot there. More fallen heroes have returned home since. Each of them died while helping to end a brutal, depraved enemy that endangered our friends and allies and our people. That is, they died heroically in combat. Others died in accidents that showed how dangerous military operations can be even in the absence of hostile fire. One factor that made our public statements on the ISIS fight so cloudy during my first year back at the Pentagon, despite my clarity about the overall strategy of “lasting defeat,” was that we still could not describe the actual steps we would take to get there. The messaging I inherited revolved around nine anodyne “lines of effort,” or tasks. Two of these lines of effort were the Defense Department’s responsibility: denying ISIS safe haven and building local partners’ capacity. Other lines of effort belonged largely or entirely to other agencies: strengthening governance in Iraq; negotiating a political transition in Syria; combatting ISIS’s illicit financing, media messaging, and the flow of foreign fighters; gathering intelligence; providing humanitarian support; and disrupting terror threats to the United States. All of those were important tasks, but they were far too numerous and “in the weeds.” It was a list, not a strategy. There was no sequence, no moving picture showing the path we would take and where it was leading, that our troops and the public could see and feel. In congressional testimony in the early months after my confirmation, I sought, inevitably with limited success, to weave these nine lines of effort into a coherent message that Congress and the public could understand and support. The “lines of effort” approach was no easier to handle behind closed doors than it was to talk about in public. At my suggestion, I met a number of times with Secretary of State John Kerry to manage and track their implementation, including the seven lines of effort outside DoD’s responsibility. However, with Kerry’s attention dedicated to the important Iran nuclear deal and other matters, and State’s comparatively limited role in the fight, the meetings proved largely unproductive. Further clouding the picture was the creation, before I became secretary, of a position for a special State Department envoy on ISIS issues. When I returned to the Pentagon, retired Gen. John Allen had been in the role for five months. John is a good man, a good friend, and a great partner in years of work together on the Middle East and Afghanistan. My concerns were not with John, but with the position he was in. At home and abroad, it confused everyone about who was in charge. It badly blurred the responsibilities of the Defense Department, State Department, and White House in national security policy, and was a nuisance to the chain of command. Like most ad-hoc setups of its kind, the Allen role, as the expression goes, filled a much-needed gap. By December, John had stepped down after doing his usual best in an awkward role, having done a great deal to urge coalition members from Canada to Saudi Arabia to Malaysia to contribute more. These blurred lines were on display on my first visit to Baghdad as secretary in July 2015. Landing in a country where the United States was engaged in a tough military campaign against a barbaric enemy, I was greeted first not by a uniformed commander, but by State Department diplomats, who transported me in State Department vehicles and State Department-contracted helicopters (which we would learn were really expensive when the State Department sent us the bill), and who dominated planning the itinerary. This was State’s “normalized embassy.” The overwhelming impression was that the State Department was running the show and deliberately sidelining the military just to prove a point. This was not the State Department I had worked with for 30 years at its best. That relationship—and much more—needed to change. My frustration with the output of the intelligence effort was even greater. Intelligence on ISIS was almost entirely lacking—we did not understand who our enemy was, where he was, or what he would do next. ISIS’s capture of Ramadi, with zero warning, three months after I returned to the Pentagon and months after we had launched counter-ISIS operations, epitomized the paucity of intelligence in these months—a problem we only gradually solved. Our military planning for counter-ISIS operations was also a problem. While in Kuwait for the Team America meeting just after my confirmation in February 2015, I was briefed by CENTCOM Commander Lloyd Austin on a plan to retake Mosul. I admired Austin’s desire to take the fight to the enemy, but the plan he presented to me in private was entirely unrealistic at that time. It relied on Iraqi army formations that barely existed on paper, let alone in reality. To make matters worse, a CENTCOM official during a background briefing just as I was leaving for the region had told Pentagon reporters in Washington that we planned to launch operations to retake Mosul by March or April6, adding an imaginary timetable to the imaginary forces that would carry it out. The background briefing drew a sharp rebuke from McCain and Senator Lindsey Graham for revealing our timetable. I was much more concerned about the fact that the whole thing was unrealistic. Building the kind of Iraqi force that could retake Mosul would ultimately take the better part of a year. Had we launched these aspirational operations without sufficient resources and planning, the failures would have set back the counter-ISIS campaign—and increased the already intense pressure on the White House. Attempts to train and equip counter-ISIS forces across the border in Syria were already under way when I arrived at the Pentagon. They were, at the start, an embarrassing failure. The plan in operation when I arrived, hatched in mid-2014 after influential congressional leaders had pushed for more action to equip Syrian rebels, was to constitute whole anti-ISIS units from scratch by recruiting individual fighters, forming them into units, providing them training and equipment in Turkey and Jordan, and re-inserting them into the fight in Syria. Finding reliable forces would have been difficult under any circumstances, but we were hampered by the requirement for ironclad assurances to Congress that troops we trained and armed would fight only ISIS, and not engage in the bloody civil war to unseat Bashar al Assad. This was a Washington compromise between those who wanted to get more involved in Syria and those who wanted no part of it. It made little sense in real-world Syria, where almost all the real fighters were already part of ad hoc groups and all wanted to fight Assad as well as ISIS. Mike Nagata, the able Army two-star in charge of the effort, had no real chance to succeed. While these constraints were in place before I became secretary, to be honest, I failed to recognize just how badly the effort was going until the failure became a minor scandal. In July 2015, I had to acknowledge to the Senate Armed Services Committee that despite spending several months and millions of dollars, we had trained and deployed only about 60 dependable anti-ISIS fighters in Syria7. All that saved me from a massacre by the astounded committee members was my candor. There were reports that some units we had trained and equipped had handed over U.S.-supplied equipment to the Nusra Front, al Qaeda’s Syrian affiliate. In a meeting with the President, I acknowledged to him that we had let him down on this front; the President, to his credit, said that the error was “more in conception than execution,” which was another way of saying that Nagata’s most able efforts hadn’t stood a chance. Gradually, we would adopt a more effective method of equipping and training local forces to fight ISIS in Syria, plugging into already-existing groups, providing them support and training in things like how to identify targets for coalition airpower, and working them into our campaign plan. This was notably successful with the Syrian Arab Coalition that led the marches on Manbij, Tabqa, and Raqqa—more on them later—but success came only after much stumbling. The scant intelligence and shoddy planning was, I think, in part a reflection of the fact that no one person was really in charge of the counter-ISIS campaign in Iraq and Syria. The command situation was fractured. The senior officer in Baghdad when I became secretary was Army Lieutenant General Robert Caslen, a capable officer who nonetheless had almost no real authority to influence the fight and was mostly there to oversee arms sales to the Iraqis. So the senior officer physically closest to the fight was organizationally unconnected to it. Another Army officer, Lieutenant General James Terry, the land forces commander for U.S. Central Command, was overseeing the counter-ISIS fight—not from Baghdad, but from Kuwait, where I met him on my first trip to the region as secretary. But he too didn’t have clear authority. He was only tenuously connected to the Air Force three-star who managed the air campaign that had begun in August 2014, and none of them was properly tied into what special operators were doing. General Austin and the CENTCOM staff were trying to provide operational leadership from Tampa—difficult if not impossible to do while confronting Taliban forces in Afghanistan, Iranian misbehavior, and instability in Yemen, among other problems also on CENTCOM’s plate. We needed to build a military campaign, and a campaign needed a single commander—one we would lack until Sean MacFarland entered the picture. It would take months to properly address these shortcomings. But, of course, we didn’t have months to make progress against ISIS. Every day, ISIS was brutalizing civilians in Iraq and Syria, spreading its influence via affiliates in Libya, Afghanistan, and elsewhere, and plotting attacks in Europe and North America. Over the spring and early summer of 2015, ISIS continued seizing territory—Palmyra, At-Tanf, Ramadi, even Sirte, Libya. The U.S.-led air campaign continued, but we were far from having the effects on ISIS operations that we wanted and needed. In May, when ISIS seized Ramadi, the capital of Iraq’s al Anbar province, I caused a stir when I told CNN’s Barbara Starr that Iraqi forces defending the city had “just showed no will to fight. … They were not outnumbered. In fact, they vastly outnumbered the opposing force, and yet they failed to fight. … That says to me, and I think to most of us, that we have an issue with the will of the Iraqis to fight ISIS and defend themselves.” That needed to be said to the Iraqis and acknowledged to our own troops, who appreciated that someone had finally said what they knew was true. So did General Marty Dempsey, the chairman of the Joint Chiefs, who put it even more pithily: “The ISF was not driven out of Ramadi. They drove out of Ramadi.”8 Fielding Iraqi forces who were not just well trained and equipped, but who also fought with will and determination, was a months-long process. We gradually began to identify and take advantage of opportunities to speed up our progress. In mid-May we launched a raid targeting Abu Sayyaf, the head of ISIS’s lucrative oil and gas operations. We hoped to capture the ISIS leader, but he was killed in the raid. His death helped complicate ISIS’s effort to support its operations with petroleum revenue. More importantly, others captured in the raid, including Abu Sayyaf’s wife and a slave who was freed in the operation, as well as documents and electronics that were captured, provided valuable intelligence that helped fill in some of the gaps in U.S. understanding of ISIS’s leadership behavior. Helped in part by that intelligence, over the course of the summer and fall special operators undertook several raids or airstrikes targeting senior ISIS figures after receiving approval from me, President Obama, Iraqi Prime Minister Abadi, and Kurdish President Barzani. For each of these leaders, these operations represented political risks that could, if not managed, cause problems for them and for the campaign, so it was important that they all understand and approve of our actions. From targeted raids to troop deployments over the coming year and a half, the president never declined a single request for additional resources or authority when I and the chairman of the Joint Chiefs saw an opportunity to do more. In our earliest conversation about my becoming his Secretary of Defense, President Obama said, “If you have something to tell me, come and see me. I don’t want to read about it in the newspaper. Don’t jam me.” I honored that request, not just because he deserved that discretion but also because it increased the chances he would take our advice. The president and his inner circle believed that they had, in fact, been “jammed” earlier in the administration by leaks designed to box them into one course of action. The fight against ISIS was too important to replay those kinds of skirmishes. We worked hard to make our proposals solid and keep them out of the press until the President could consider them. Unfailingly, he agreed. A key turning point came on July 6, when President Obama visited the Pentagon for a National Security Council meeting in which he encouraged us to present him with broader and more creative options for accelerating the fight. It was a real mandate from the President, and in front of the entire NSC. He made it clear that if we saw an opportunity to take the fight to ISIS, he expected us to come forward with plans to do so—that he would scrutinize our recommendations, but that he was open to them, in fact encouraged them. For our part in DoD, we were eagerly seeking new opportunities to put pressure on ISIS, and so over the next several months we would recommend and receive approval for additional forces and authorities to accelerate the fight. The pacing items were steadily improving intelligence, more and better training for local forces in courses that took time, and the growing confidence of Abadi and Barzani. All these factors steadily created battlefield opportunities that we could exploit. Where it took more forces and authorities to do so, we got them. Later that July, I traveled to Iraq to assess the campaign, and in particular plans to recapture Ramadi. After once again sensing too many cooks in the kitchen, I directed General Dempsey to draft plans for consolidating the campaign under a single operational commander. That commander would be Sean MacFarland. He was not fully in place until September. But finally, there was one (exceedingly competent) officer responsible for the entire campaign—in the air and on the ground. The diffuse command structure that had been in place since the ad hoc launch of Operation Inherent Resolve the previous October gave way to a single commander. This would pay off in the months ahead as the fight accelerated and grew more complex—on the battlefield and in terms of the tangled politics of the region. I knew Sean best from his stint as Deputy Commander in Afghanistan, years before, when I was equipping and supplying the war there as Undersecretary for Acquisition, Technology and Logistics. But it was his experience as a brigade commander in Iraq that made him so effective in fighting ISIS. Sean had deep knowledge not just of Iraq’s physical geography—he had walked the streets of Ramadi and Mosul—but of what the military calls human terrain: the tribal relationships and political rivalries that drove so much of what happened there. He was also an exceptionally effective public spokesman for the campaign. His briefings to reporters back in Washington, and his appearances with me when we would brief the traveling press, conveyed plain-spoken reassurance. When his tour was up in August 2016, I chose Lieutenant General Steve Townsend, another excellent officer whom I also knew from the days of the Afghan surge, and who had also served previously in Iraq, as his relief. Steve performed his command, which ended this September, with the same great skill. The same month that Sean MacFarland took command, General Joseph Dunford would be sworn in as chairman of the Joint Chiefs. I had known Joe for years and recommended him. He is one of the best leaders I have ever known. Joe was an invaluable partner on every challenge we faced from China to Russia, including the ISIS campaign. He described the items the President approved over the summer and fall as “accelerants” for the campaign, a useful coinage that highlighted how we were using our unique military capabilities at the time and place they were needed to speed up the effort. I adopted Joe’s word, and we both used it over the next years together. In October, the president approved a series of accelerants that would make a major difference in the months ahead—and would replace the failed train-and-equip program for Syria with the structure that would eventually bring us to the gates of Raqqa. We received authority to deploy a small group of special operators into Syria, where they established contacts with members of the Syrian Arab Coalition (SAC), Arab fighters organized under the umbrella of Syrian Kurdish groups. The existence of the SAC was one of many lucky breaks during the campaign.When our operators came out of Syria saying, “We can work with these guys,” it opened a whole new set of possibilities for collapsing ISIS’s control over Northern Syria and, eventually, its capital in Raqqa. The training and equipment we provided these forces would prove decisive in rolling back ISIS gains in Syria. Working with groups so closely tied to Syrian Kurds sparked immediate tension with Turkey, a tension that never went away. The president authorized us to begin training and equipping the SAC, as well as local anti-ISIS forces in Southern Syria. Steadily, our commanders and I identified more specific steps. We also deployed A-10 and F-15 aircraft to Incirlik Air Base in Turkey, where the Turks had, after months of delays, finally given permission back in July for us to launch anti-ISIS missions. The President also authorized us to employ AH-64 Apache helicopters, if Abadi requested their use, for the fight in Ramadi. Each of these accelerants would strengthen the local ground forces we were supporting. As winter approached, these accelerants were bearing fruit. A strike in November killed Mohammad Emwazi, the British extremist known as “Jihadi John” who had participated in several brutal executions. Kurdish Pershmerga liberated Sinjar in northern Iraq, cutting off one main route of ISIS communications with Syria. And we were having more and more success targeting the network of oil facilities that provided ISIS hundreds of millions of dollars in illicit revenue. But on November 13, ISIS operatives carried out a deadly attack in Paris, setting off a bomb outside a soccer match and wantonly shooting civilians at venues including a concert hall. In all, 139 people died. Hours after the attack, I had a wrenching phone call with French Defense Minister Jean-Yves Le Drian, a stalwart of the campaign whose nation was shaken by the attack. Less than a month later, an ISIS-inspired couple killed 14 people in San Bernardino, California, demonstrating that ISIS’s mere existence could inspire enough hatred to endanger the safety of the American people. Every day ISIS ruled wide swaths of Iraq and Syria was a day it could plot and execute, or simply inspire, deadly attacks against us and our allies. Just as July had been a key period for kicking off the “accelerants” we applied to begin reversing ISIS’s momentum, the month after the Paris and San Bernardino attacks would bring together the key elements of the campaign plan that would guide us for the next year and bring us to Mosul and the outskirts of Raqqa by the end of 2016. We had a command structure. We had gone from vague “lines of effort” to specific steps, and had buy-in from the President for those steps. But we didn’t have a way of showing how the steps would get us to our destination. And I didn’t have the full backing of the President for a whole, specific campaign. Both would come in December. At the start of December, I testified before both congressional defense committees, where I outlined some progress enabled by accelerants introduced during the summer and fall. For example, I said Iraqi forces with our support had begun to make progress in retaking Ramadi, and had demonstrated resilience in dealing with several ISIS counter-attacks in the area—a notable change from the ISF’s retreat from the city in May. At these hearings I announced another accelerant for the campaign: the deployment of an expeditionary targeting force of special operators to conduct high-impact operations in Iraq. Though we did not discuss the ETF’s operations often after that announcement, it achieved major results both in killing or capturing ISIS leaders and in gathering valuable intelligence that fed future operations. At the Senate hearing, John McCain grudgingly praised our progress in Iraq but derisively claimed our strategy on the Syrian side of the theater looked “more like a hope.”9 The only way to answer such criticism was with results. The campaign plan taking shape would demonstrate the soundness of the approach we had finally implemented. In the previous weeks, I had been working with General Dunford and others to develop the campaign plan that would lead to capturing Mosul and Raqqa. By the time the President traveled to the Pentagon on December 14 for a National Security Council meeting on the ISIS campaign, we were ready to brief him on our plan. I knew this would be a critical meeting, and Joe Dunford and I were prepared. We met around the long table in my conference room—the President, Vice President, Joe Dunford and I at the head, and the NSC arrayed down the sides. The President opened the meeting, then turned to me to speak. I started by pointing out that ISIS was targeting everyone in the room, including me and my family. I turned to the President and said, “To hell with that.” And then I told him what we wanted to do about it. I knew we needed to go from concrete steps to a clear path toward an end state. I took inspiration from World War II newsreels that represented the relentless march of the Allies across Europe and the Pacific with big, sweeping arrows. I showed him a map with two bright red arrows, pointed to Mosul and Raqqa. The president helped by asking, “What’s the picture? How can we draw it?” Just the opening I needed. I gave him the newsreel concept. And then Joe and I told him how we would get there, step by step, tracing the path of each arrow to the twin objectives of Mosul and Raqqa, a methodical plan to gather and employ the local and coalition forces needed at every step. He responded positively, and pointing to Ben Rhodes, his Deputy National Security Advisor and Chief Communications Coordinator on national security issues, asked me to work with Rhodes on a plan for communicating the campaign to the public. Rhodes responded that it was best for DoD to do the talking, and in the months to come, we in the Pentagon and commanders in the field never tired of explaining how the steps taken on the battlefield took us further down the path to our two objectives. Finally, I felt, we had the complete campaign plan and the approval to carry it out. The two red arrows pointed the way to Mosul and Raqqa, and the campaign plan outlined how to get there. In Iraq, the coalition would assist the ISF in retaking Fallujah, in part to help ease the pressure of daily terror attacks in Baghdad. At the same time, the ISF would advance, step-by-step, to the isolation and liberation of Mosul. Iraqi forces would move north, up the Tigris River from the area north of Baghdad into ISIS-held territory, first along the right bank, into Makhmur southeast of Mosul, and then Iraqi forces would bridge the Tigris to move farther north against the airfield at Qayarrah West. Q-West, just a short drive from Mosul’s southern outskirts, would become a logistics hub for the daunting task of building up a massive Iraqi-led force for the assault on Mosul. Subsidiary operations would eliminate ISIS strongholds in Iraq’s western desert such as Rutbah and Hit, liberating oppressed communities and complicating ISIS’s logistics by cutting off routes between Iraq and Syria. After a period of rest, refitting, training, and equipping additional Kurdish and ISF units necessary for the task, the Pesh and the ISF—never comfortable together, now indispensable to one another—would cooperate to first isolate, and then assault, Mosul, Iraq’s second largest city. In Syria, we would leverage our fortunate find in the Syrian Democratic Forces, building their combat power as we had with the ISF. The coalition would support SDF operations to clear ISIS-held territory in the north, focusing on Ain Issa, Shaddadi, and then an ISIS-held pocket, centered on the town of Manbij, between two Kurdish-held territories, as well as Dabiq. Dabiq is a small town west of Manbij that held outsized importance in ISIS’s ideology as the prophesied location of an apocalyptic battle; ISIS even named its propaganda magazine after the town. These operations would begin to isolate Raqqa, both in preparation for assaulting Baghdadi’s stronghold and, just as important, to protect publics in Europe and the United States by interrupting the flow of terrorist operatives from Syria through Turkey to the West. I told the President he should be ready for a steady stream of requests for more U.S. forces to support our growing operations as the campaign unfolded. I said I could not predict exactly how many additional forces we would need, but that we knew there were additional capabilities we would need as the plan unfolded. The President understood, and I think the fact that we had outlined a detailed plan gave him both an idea of what to expect and confidence that our requests would be tied to specific objectives. After our meeting, and a stop in the Pentagon briefing room where the President made a brief statement to the press, I walked him to his motorcade at the Pentagon’s River Entrance. Before he got in his car, he turned to me and said, “Let’s get this done.” I had my marching orders. After months of defensiveness in Washington—about the failed train and equip program, or the pace of the campaign, or our perceived lack of strategy—it was time to go on the offensive. From then forward, step by step, month by month, we would methodically execute our plan. That afternoon, immediately after the president’s visit, I left for Iraq. One key element was achieving a political understanding with Abadi and Barzani. I had met with both men multiple times, and knew that while each had domestic political considerations to attend to, we could work with both of them. In Baghdad on December 16 and in Erbil the next day, I outlined the campaign plan to each man, and what we needed from each government in order for it to succeed. The plan required significant arms deliveries and funding to the Peshmerga to conduct operations around Mosul. This was a tender spot for Abadi and the Iraqi government, which constantly feared an independence bid by the Kurdish Regional Government, as well as Kurdish designs on Mosul itself. Similarly, we needed a massive ISF force to take the city—politically speaking, the force had to be predominantly Arab, and it would by necessity be largely Shia because the reincorporation of Sunnis into the ISF was proceeding, but slowly. In order to approach Mosul from multiple directions, thousands of ISF troops would need to pass through Pesh lines and assemble in KRG territory to prepare for the assault. This would trouble Barzani and the Kurds, for reasons of politics and history. The Kurds took seriously any threat to their autonomy and would reject a heavy permanent presence in Mosul of forces controlled by Baghdad as a threat to that autonomy—but such a presence was absolutely necessary to liberate Mosul. An even greater concern, not only for the Kurds but for the United States, would be for Iranian-affiliated Shiite militias to enter Mosul. On top of all this, memories of the Iraqi military’s violent suppression of the Kurds—including Saddam Hussein’s use of chemical weapons—were painfully fresh. Literally, the last time Baghdad’s forces had set foot some of the places they would be going, it was to hunt down and kill Kurdish fighters. My pitch to both men was simple: ISIS was a threat to each. Its defeat required steps they might not ordinarily support, but these were not ordinary times. Each would receive equipment, training, funding, and support to help defeat a common enemy. But Mosul could not be a battleground for Iraq’s internal rivalries. It could not become an extension of Kurdish authority nor of Shiite militias’ political power. I told both men that they would not get to keep what they took—that Mosul would return to its pre-ISIS status quo as a multiethnic city. The militias would stay on the sidelines—Abadi would need to ensure this. And regular ISF troops would need access to Kurdish territory—that was the only way to approach Mosul from multiple directions. This was what defeating ISIS would take. I was relieved but not surprised that they both agreed. Each had the wisdom to do what was necessary—something that could not be said for many others in Iraqi politics. Over the summer, as the Mosul operation approached, these issues never went away—in fact they required constant attention. But each leader’s agreement held. Kurdish and ISF forces cooperated more closely than they ever had, to defeat a common enemy. On a later stop in Iraq, I would speak with Iraqi and Kurdish helicopter crews who were operating together on the same airfield in Erbil—something impossible to imagine not long before. That was months in the future. After my visits with Barzani and Abadi, I paid a quick visit to the French aircraft carrier on station in the Gulf, deployed there after the Paris attacks to demonstrate French resolve. I sat in the cabin of the E4-B on the flight back home and began writing out the memo to the President submitting the formal campaign plan for his approval. I wrote the plan out myself, long-hand, on five single-spaced pages of cardboard (my favorite writing surface), with the map of the two red arrows attached. The President had taken to calling the specific operational items in the campaign plan “plays,” like a football coach scripting out the first 10 plays of the game before it starts, so the first 10 plays of the campaign plan were listed down the side, with a corresponding location numbered on the map. I outlined the campaign, in as much detail as I could share publicly, when I spoke on January 13 to members of the Army’s 101st Airborne Division at Fort Campbell, Kentucky. About 400 troops from the Screaming Eagles were preparing to deploy to Iraq to serve as the ground component headquarters for the campaign. For the first time, I set forth publicly the campaign plan and the end state it would lead to. Appropriately, I did it in front of the troops who would carry it out. I talked to the soldiers of the 101st about the “big red arrows” pointing the way to Mosul and Raqqa. I explained to them that I had no doubt that the 101st could take Mosul all by itself if the president so ordered—but that doing so ourselves, without capable local partners to secure the peace, would not achieve the lasting defeat we sought. A week later I was in Paris. Minister Le Drian and I hosted defense ministers from six key coalition nations—France, the United Kingdom, Germany, Australia, the Netherlands and the United States. It was one of a series of meetings we held with coalition partners. Some meetings, such as the Paris session, were smaller gatherings of the coalition’s biggest contributors; other, larger gatherings included nearly all the coalition participants. In November, as we began shaping the plan we would brief to the president, I had written a letter to each of the coalition defense ministers, asking for more support: airpower, police, and military trainers, special operations units, financial assistance, more of everything. I was blunt about the need for everyone to do more (and I included the United States in that), which was tough for some of them to hear. Their help was necessary both militarily and politically, and outlining the role that each needed to play in the overall campaign plan was necessary, too. The letter leaked, and to be frank it had caused more of a stir in some coalition countries than I wanted to create for my fellow defense ministers. Now I would lay out for our closest partners what their support would help enable. The plan outlined the capabilities we would need in-theater to execute each play. It was these plays and the accompanying resource requirements that would drive further consultations among coalition members for the next year as we sought commitments for trainers, air power, logistical support, humanitarian and economic aid, and more, as well as our own accelerants. For the coalition, the campaign plan wasn’t just useful as a planning document. It was a confidence booster and political enabler. For people like Jean-Yves, whose nation had just suffered a destructive attack, the pressure to accelerate ISIS’s defeat was immense. None of us could outline the details of the plan to our publics for operational security reasons. But having a coherent, logical plan we could explain to leaders back at home, a path along the two red arrows that everyone could visualize, was tremendously important. For many coalition partners, military deployments required parliamentary approval, a process that could take months, and the detailed campaign plan allowed them to look ahead, anticipate requirements, and begin the process of seeking political approval. Three weeks after the Paris meeting, in Brussels, we convened a larger group of coalition partners, and 26 nations agreed to step up their contributions. I have attended many international meetings. Often, the signal-to-noise ratio is extremely low. I told Elissa Slotkin, who organized the meetings, that gabfests were not what I was looking for, and she made sure the coalition gatherings were enormously productive. Just scheduling the meetings at all had a subtle impact, putting mild pressure on allies to have contributions ready to announce. Another tool was the “Chicklet chart,” which Elissa had brought out at the Brussels meeting. Elissa put the chart together along with the military planners from CENTCOM. It listed categories of assistance required for the campaign—say, trainers for Iraqi police forces or logistics support—and the contributions of each coalition member on a grid, with squares marked green, yellow or red. The colorful squares looked like pieces of Chicklet gum. Showing everyone’s grades to everyone else—including ours—was motivating. Defense ministers leaned forward in their chairs for a look at their grades, and at everyone else’s. For future meetings, we shared the Chicklet chart beforehand, and in more than a handful of cases, coalition partners came forward with contributions to change red or yellow squares to green. The discussions in these meetings were direct—they were a place for unvarnished truth about the work ahead of us and what we needed to do to complete it. They were also places to build camaraderie, whether it was singing “Happy Birthday” to Norway’s defense minister, Ine Eriksen Søreiden, or listening to Jean-Yves Le Drian speak passionately about the impact of the November attacks on his country. I had built a strong relationship with Le Drian, which the events of the fall and winter had made even stronger. Indeed, the relationship between the Pentagon and the French defense ministry may never have been closer than during our work planning and executing the campaign. Similarly, Michael Fallon of Great Britain, Ursula von der Leyden of Germany, Roberta Pinotti of Italy, Pedro Morenes of Spain, and others became not just important partners, but friends. Surprisingly, given all the high-level leaders in these meetings, none of the discussions ever leaked. It was a sign of the deadly seriousness of this close-knit group of war leaders. No plan is perfect, and no campaign goes perfectly according to plan. But in the year between approval of the campaign plan and the end of the Obama administration, the plays unfolded on the battlefield largely as we had envisioned them—and continued to unfold along the lines we had planned as the Trump administration took over, with the recapture of Mosul and the envelopment of Raqqa at the end of those two red arrows. Soon after the adoption of the campaign plan, we were prepared to introduce the latest set of accelerants to the campaign. They included the April announcement of more than 200 additional troops for Iraq, as well as the authority to advise and assist smaller Iraqi army units—down to the battalion level. The President also authorized 250 new special operations forces to deploy to Syria—increasing our presence by a factor of five and providing invaluable support to the SDF. Washington critics complained that these sequenced accelerants amounted to “incrementalism” that smacked of Vietnam-era mission creep. This characterization missed the point entirely. The “increments” largely represented requirements that we foresaw, and planned for, well ahead of time. It made no sense to deploy forces and equipment to the theater months before they were tactically relevant; not only would that have been wasteful, but it would have hampered our ability to adjust based on events. We also needed to ease Prime Minister Abadi into accepting more U.S. forces (which was controversial for him at home) and to condition each U.S. movement on his and Barzani’s continued adherence to their own side of the bargain. This approach also had practical benefits at home: It kept tours short, and gave units the time they needed to prepare. And, in many instances, we added new capabilities to the fight based on continually emerging new opportunities on the ground and new intelligence. In May, Iraqi forces liberated the town of Rutbah, a desert junction on the main road from Baghdad to the Jordanian border, and a month later, the ISF completed a long and difficult operation to liberate Fallujah. That event had symbolic resonance not just for the Iraqis, but for thousands of U.S. troops who had fought to free and secure Fallujah in 2005. In terms of the campaign, that victory freed ISF formations to begin moving north for the assault on Mosul. The seizure of the Q-West airfield in July allowed us to begin reconstructing the base as a logistic hub. Q-West, as I mentioned, had been in our plans for many months. The size of the force needed to retake Mosul would challenge the Iraqi logistics system, especially with lines extended so far from Baghdad. Q-West is just west of the Tigris River, but the bulk of Iraqi forces in the area were around Makhmur, on the opposite side of the river. With no standing bridges in the area, we had known for months that we would have to help ISF engineers build a temporary span. Bridging a river in a combat zone is among the most complex tasks an army can undertake. Elissa Slotkin and Frank Kendall, the Undersecretary for Acquisition, met regularly about equipment needs for the campaign, and months before had done the work to ensure that floating bridge sections would be on hand when the time came. U.S. engineering troops advised the Iraqis on the bridge’s construction and on how to protect it from attack from land and from the floating explosives ISIS used to try to disrupt supply lines. The bridge was just one example of the complex logistics task the Iraqis had taken on—bigger than any the Iraqi military had performed in decades. Moving thousands of troops, their food and water, fuel, arms, and equipment was a major effort. And at that floating Tigris bridge, at Q-West, and elsewhere, support from U.S. and coalition engineers, logisticians, and other technical experts was essential. Days after Iraqi forces captured the airfield, I was in Baghdad, where I announced we would deploy an additional 560 troops, mostly to support logistics operations at Q-West. More troops later in the fall would further strengthen logistics operations, provide additional train-advise-assist teams, and importantly, help sort through the flood of intelligence materials we were recovering in formerly ISIS-held territory. Again, at each step of the way, these additional forces were introduced at the right moment in the campaign, just as we had envisioned. By October, Prime Minister Abadi was ready to announce the start of the operation to free Mosul, right along the timeline we had projected the previous December. The assurances I received in December from Abadi and Barzani on the cooperation of their forces held all through the Mosul operation, but not without regular attention. As the launch of Mosul operations approached, Sean MacFarland warned that the Kurds were failing to allow some Iraqi troop movements. In a late summer conversation, Barzani once again expressed his concerns with Iraqi troops in the Kurdish region—the memory of Saddam’s forces coming north to kill Kurds was still fresh, and Barzani asked how he could be certain the ISF would depart his territory as promised. I was not asking, I told Barzani, for him to trust Baghdad. “I’m asking you to trust us.” That, apparently, was good enough, and the Mosul plan moved forward. In Syria, the SDF’s seizure of Manbij in August was one reason intel was flowing. ISIS had used the city as a way-station for foreign fighters entering Syria, and for external-attack plotters trying to move the opposite direction across the border into Turkey and beyond. The fight for Manbij was long and difficult; SDF units suffered heavy casualties as they moved, block-by-block and house-by-house, to eject ISIS. As they did, they captured dozens of safe houses and other facilities ISIS had used to govern the area and run its operations. The intelligence we gleaned from these locations was of high value—especially in halting ISIS terror attacks in Europe and the United States. We continued throughout 2016 to launch strikes against ISIS leadership figures, and as a result, ISIS’s battlefield leadership and coordination noticeably suffered. By the time I left the Pentagon, almost none of ISIS’s senior leaders, save Baghdadi, survived. Baghdadi’s leadership of ISIS, while unquestioned among its fighters, had to be exercised from a posture of deep hiding. By mid-January, as Inauguration Day and the presidential transition approached, the battle for Mosul was full-on. ISF units had nearly liberated the eastern bank of the Tigris in Mosul, and had begun penetrating neighborhoods in the much denser western half of the city. SDF troops were on the way to Raqqa and its fall was a matter of time. ISIS, though still dangerous and eager to attack the United States and Europe, was clearly on the path to losing its capitals in Iraq and Syria. Campaign plans do not, of course, execute themselves. People like Joe Votel at CENTCOM, Sean MacFarland, and later Steve Townsend in Baghdad, and thousands of men and women under their command did the real work. Every week, I held a secure video teleconference with the CENTCOM team to discuss the campaign and confirm, as was usually the case, that things were on track. My military assistant, Eric Smith, was enormously valuable in helping me stay in close contact with a campaign unfolding thousands of miles away. Eric had been my military assistant when I was Deputy Secretary, so he knew the building; more importantly, he knew what our troops and their commanders were experiencing. He had served multiple combat tours, including two in Iraq, where he had been wounded in action. Eric never hesitated to ask tough but necessary questions of commanders—or of me. While the fight against ISIS has by necessity taken place on the ground, U.S. and coalition airpower deserved a great deal of the credit for the campaign’s success. 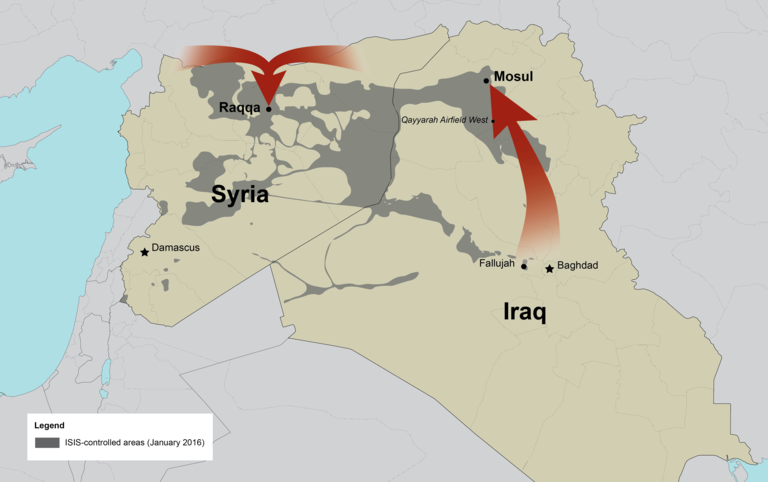 Airstrikes took out many of those ISIS leaders; they also severely damaged ISIS’s financial and oil resources. Tactically, air cover was a powerful enabler of the Iraqi and Syrian troops the coalition supported. No military force on earth can do what America can do from the skies—and ISIS certainly couldn’t match or counter U.S. airpower. And it bears repeating that every U.S. and coalition pilot flew into harm’s way on every sortie. What may interest future historians the most about the counter-ISIS campaign was its cyber component. My chief of staff, Eric Rosenbach, was an invaluable adviser on everything having to do with ISIS, but his expertise on cyber and homeland security issues was particularly useful on this thorny topic. No U.S. adversary had ever made the Internet such an important part of its operations. ISIS communicated via secure Internet messaging; it recruited new members via social media; it spread its hateful ideology online; and it used the Internet to inspire or direct attacks on the U.S. and Europe. I acknowledged in congressional testimony in May 2016 that I had directed U.S. Cyber Command to initiate offensive cyber operations against ISIS—a first for the U.S. military. Our goal, I said, was to disrupt ISIS finances, recruiting and propaganda. “In the modern world,” I said to the Senate Armed Services Committee, “that’s necessary to defeat an enemy, and we’ve got to use every tool that we have.”12 Nearly all the details of those operations remain classified. I was largely disappointed in Cyber Command’s effectiveness against ISIS. It never really produced any effective cyber weapons or techniques. When CYBERCOM did produce something useful, the intelligence community tended to delay or try to prevent its use, claiming cyber operations would hinder intelligence collection. This would be understandable if we had been getting a steady stream of actionable intel, but we weren’t. The State Department, for its part, was unable to cut through the thicket of diplomatic issues involved in working through the host of foreign services that constitute the Internet. In short, none of our agencies showed very well in the cyber fight. One exception was an international effort to combat ISIS’s hateful online presence with counter-messaging, an effort that did achieve significant reach and had a real impact. Largely classified, but immensely important, was the work of U.S. special operators. I’ve mentioned their importance in identifying the SDF as an effective partner against Syria—that was an opportunity seized upon by special operations troops who were as valuable for their diplomacy and people skill as for their combat competence (which was substantial). It was incredibly risky work to go into a place like Syria, with its impossible maze of competing rebel factions. On at least three occasions, in Iraq or back in the United States, I met with special operators who had gone into Syria—young men who could have made a killing on Wall Street or in Silicon Valley, but were instead stitching together a powerful fighting force to defeat ISIS. At one such meeting, I ran into an operator just back from Syria who had been a student of mine at Harvard years before. That was a proud moment for a one-time professor. Troops like that were our eyes and ears in Syria, looking rebel fighters in the eye and determining who we could work with, telling friend from foe from mere opportunist. They were never large in numbers but they had an immense impact on the battlefield—as well as on my thinking about the campaign. And they are another example of how we used our unique advantages—in this case, smart, skilled, impeccably trained special operators—to fight ISIS on our terms and not theirs. I also thought our public communications efforts helped move the campaign forward. Early on, regular briefings from Baghdad by Sean MacFarland, and his top commanders, and even more frequently by Army Colonel Steve Warren, a public affairs officer who was widely respected by the Pentagon press corps, ensured clear and constant communications on the progress of the campaign. Sean was particularly effective—he has an instantly likeable drawl that lets him get away with saying things I never could, like the time he answered a two-part question from one particularly nettlesome reporter with a simple: “No and no. Does that help?” Sean’s successor, Steve Townsend, continued the briefings when he took over. This wasn’t just helpful for our media image. Giving the press, and therefore Congress, our allies, and the public, a clear picture of what we were doing and where we were heading made it easier for the President and political leaders in coalition nations to give us the support we needed. Peter Cook, who headed my public affairs team at the Pentagon, took things a step further by orchestrating major deployment announcements in Baghdad, working with our Iraqi partners beforehand to ensure that Abadi could also announce the news to his press. Few in Washington recognized that troop deployments were not just a decision for President Obama to make; everything we sent to Iraq needed Abadi’s support as well. Working with his government on these announcements—and enabling battlefield victories—gave him the political latitude to continue strengthening our partnership and match our accelerants with his. Peter also helped sometimes reluctant commanders get comfortable with the notion of briefing the Pentagon press corps. I encouraged these briefings because our uniformed leaders can provide unique perspective and expertise and have special credibility with the press. Whether it was in Baghdad or Kabul, or at an event like the change-of-command ceremonies that installed Joe Votel at CENTCOM and General Tony Thomas at Special Operations Command, Peter worked hard to get me, Joe Dunford, and our military commanders in front of the media, together, as much as our schedules would allow, which I thought demonstrated important unity of effort. I had selected Peter because I wanted a civilian and a professional speaking for the secretary of defense. I had in mind the service that Kenneth Bacon, a former Wall Street Journal reporter, had provided as the chief spokesman for Bill Perry and Bill Cohen in the 1990s. Peter, a veteran television reporter, was able to help me and our commanders understand and anticipate the hardest questions we would take. On several occasions, our commanders told me how much they appreciated his advice and support. Peter and his assistant, Gordon Trowbridge, ran a press operation that had credibility with the press and with the White House—no small feat. The media, fixated on timetables, asked constantly when Mosul or Raqqa would fall. They were not the only ones who asked: The President, clearly hoping to leave as little of this cancer as possible for his successor to deal with, asked at one point if we could succeed in recapturing Mosul and Raqqa by the end of the administration. I told him I preferred to under-promise and over-deliver. I expected those operations could begin in 2016, I said, and that it was possible to complete them in 2017, but I did not want to make any commitments I couldn’t keep. Thanks to that caution, good fortune, and the battlefield skill of many brave people, I never broke a commitment to the president, and never made a prediction in the press about timetables. As it happened, all of our timetables—such as the kickoff of Mosul operations in October 2016—unfolded when we had planned and forecasted months earlier. For the most part, the international community, and in particular the active participants in the coalition, helped make the campaign plan a reality. There are, however, exceptions—some who actively sought to derail our efforts, and some who simply couldn’t seem to get off the fence on the counter-ISIS fight. In September of 2015, just as our accelerants were beginning to have an effect, the Russian air force began conducting air strikes within Syria. The Russian Defense minister, Sergey Shoygu, called me to discuss the first of their strikes. After 35 years of service in the Department of Defense, I had engaged with a number of Russians, including Shoygu and Vladimir Putin over the years, and even cooperated with them in the Balkans and on nuclear issues after the Cold War. Still, I did not have high hopes for this conversation. Sure enough, Shoygu told me Russia was entering Syria to fight terrorists and end the civil war. He told me they were not there to preserve Assad “as a person,” but Syria as a country—to preserve its “state structures,” he told me in a Soviet-style locution. He told me he would call again before Russian forces took any action. He never did. That was one of many lies the Russians told about their involvement in Syria. Russia’s real ambitions were to keep Assad in power, secure its Mediterranean port at Tartus, refine its military capabilities, and demonstrate its weaponry for the global arms market. And from that first moment, Russia sought to associate us and the counter-ISIS campaign with what they were doing in Syria—constantly telling the world of their desire to coordinate and cooperate with us, asking to share targeting and intelligence information. Such cooperation would have been ill-advised, strategically and morally. I argued strongly against any association between our campaign and theirs. Strategically, associating ourselves with Russia’s involvement would trip many traps. It would baffle our coalition partners—the Europeans, the Jordanians, Turkey, the Gulf states, none of whom thought Russia siding with Assad would do anything but fuel the civil war they all wanted to end. Because Russia was so closely aligned in Syria with Iran, any cooperation with Russia would strengthen Iran and its proxies in Baghdad, undercutting Abadi’s resolve to work with the United States and to exercise multi-sectarian rule. And it would naively grant Russia an un-deserved leadership role in the Middle East. I also did not believe the United States could be seen as connected to what the Russians were doing because of the inhumanity of their campaign. While our forces made extraordinary efforts to protect innocent lives, the Russians actively sought to increase the suffering in rebel-held areas of Syria. The brutal, months-long bombardment of Aleppo, including the intentional targeting of health care facilities, was especially inhumane. Russian airstrikes were clumsy and indiscriminant. To have provided the intelligence or targeting information Russia sought for its campaign, engaged in wholesale bombing of civilians, would have linked us with atrocities. John Kerry, who was shocked as all of us were by the carnage of Syria’s civil war, tirelessly sought to end that carnage with a series of cease-fires. None held for long, because Russia and Syria showed no interest in observing them. But what Russia asked for, time and time again, was military cooperation with us. This was a Russian obsession. In meeting after meeting with the President and his team, I argued strenuously against such cooperation without strict conditions—principally that Russia start improving rather than contributing to the tragic humanitarian situation unfolding on the ground, and to a political transition in Damascus. Failure to do so would be a strategic setback for the counter-ISIS campaign and our larger Middle East policy. I thought the Russians were no more likely to be truthful in negotiations with us than they had been about anything regarding Syria. Kerry was trying hard to gain some advantage from Russia’s ardent desire to put U.S. fingerprints on its Syrian adventure. I pressed hard for the President to give instructions to Kerry that any agreement require Russia to fully meet the humanitarian and political conditions I believed were essential. President Obama agreed; those were Kerry’s instructions, and in the end, the Russians never met these conditions. Still, when agreement on a cease fire including a joint planning cell—essentially, a baby step toward cooperation if Russia could meet our conditions—was reached in July, the Pentagon and CENTCOM staff ramped up to make it happen. Once again, the Russians and Syrians never upheld their end of the deal, the cease-fire never really started, and the planning cell never materialized. The whole episode struck me as folly—and, later in the fall, as the extent of Russia’s election meddling became clearer, doubly so. History will show that by imposing strict requirements on any agreement, the President prevented us from entering a moral and strategic tar pit. We did not allow the Russians to derail our campaign plan. A narrowly tailored memorandum of understanding on avoiding incidents in the air led to regular video conferences with Moscow led by Elissa Slotkin and a hotline between military headquarters, helping to prevent any collisions in the crowded airspace above Syria. I insisted that these talks be purely professional and characterized as “deconfliction,” not inaccurately described as “cooperation.” And spokespeople in Baghdad and Washington repeated ad nauseam the fact that our fight in Syria was against ISIS, and that it had nothing to do with what the Russians were doing. Similarly, Iran and its proxies operating in Iraq and Syria would have loved to derail our efforts and extend their influence, but in this they were largely unsuccessful. I mentioned earlier the importance of controlling the Iranian-backed militias in the liberation of Mosul; this was an area in which Abadi delivered the goods, although not without hard work on his part and ours. He had co-opted the more moderate and effective Shiite militias into something called Popular Mobilization Forces, under his command and control, cutting out the Iranians. Other forces—those armed and directed by Iran—Abadi referred to as outlaws. Despite lavish gifts of Iranian equipment, these forces never actually seemed to do anything. To be sure, we kept a close eye on groups such as Kataib Hezbollah, which was a potential threat to U.S. troops. And the militia role in operations around Mosul was a constant topic of conversation. Some of the militias were detailed to subsidiary operations that would keep them out of the way without creating problems with the Kurds or others in the region. But for the most part, these militias were very good at holding press conferences in Baghdad and driving around the dusty highways of Iraq in impressive convoys safely behind the front, and not so good at accomplishing anything on the battlefield. As I write this in the summer of 2017, I have seen occasional commentary arguing that the U.S.-backed campaign against ISIS in Iraq has handed the country over to the Iranians. This is not only wrong; it is nearly backwards. Iran has had virtually nothing to do with the liberation of Iraqi territory, and every Iraqi can see that. Winning the counter-ISIS campaign is good for us and good for multi-sectarianism in Iraq, and it is bad for Iran, confounding its ambition for a Baghdad totally aligned with Tehran and for unfettered use of a “land bridge” to southern Syria and on to Damascus and Lebanon. There will no doubt be important work to do in preventing Iran from linking across Syria and Iraq with its Lebanese Hezbollah allies, but that has always been true, and the work we have done helping the Iraqi people defend themselves from ISIS will help us in that task in the years to come. While Iran and Russia failed to knock us off course, other countries occasionally blurred the lines between ally and adversary. In fact, it was a NATO ally that caused the most complications for the campaign. Turkey’s internal politics and its obsession (born out of hard experience) with suppressing Kurdish power were recurring distractions. Turkey had been far too slow to respond to the ISIS threat. For long months in 2014 and into 2015, it failed to seal its long border with Syria, allowing ISIS to move fighters with impunity, and it had dithered before allowing use of the air base at Incirlik for counter-ISIS strikes. Turkey eventually joined the counter-ISIS coalition, allowed strikes from Incirlik, and took steps to close the border, and in 2016 we assisted Turkey in clearing the border region around the Syrian town of Jerabulus, which had been under ISIS control. Turkey was less interested in fighting ISIS than in preventing Kurds in Eastern Syria from linking up with those in the town of Afrin, less than 100 miles away from Manbij, which would give the Kurds control of a continuous stretch along the Syria-Turkey border. Turkey grudgingly agreed to plans for the Syrian Arab Coalition, which operated under the umbrella of the Kurdish-led Syrian Democratic Forces, to seize Manbij, just 25 miles from the Turkish border. The Turks demanded assurances that Kurdish elements of the SDF would immediately withdraw to their positions east of the Tigris River once Manbij was freed. When the SDF didn’t move as quickly as the Turks wanted, Turkey’s own proxy forces began shelling SDF positions. Likewise, Turkey regularly and publicly erupted at the thought of the SDF leading the drive on Raqqa. Turkey claimed—in the absence of any evidence—that fighters it supported could take Raqqa instead. But the Turks could never produce an actual plan to field such forces in repeated meetings with the U.S. military. Turkish-backed forces in Syria in fact struggled to take less heavily defended objectives much closer to its border, such as Al Bab. Turkey was also a problem in Iraq. It established a base north of Mosul and conducted air strikes against its Kurdish opponents in Iraq, which understandably angered the Iraqi government. In Washington and in conversations with the Turks, I argued that our approach should be “both/and” and not “either/or.” We should support Turkish anti-ISIS operations along its border, yes, and also support SDF operations in Manbij and beyond. I would point out that it was in Turkey’s interest to enable, not obstruct, the fight against ISIS, which conducted multiple deadly terror attacks in Turkey. Tensions reached their height in the weeks after the attempted coup against Erdogan in July 2016. Turkish aircraft from Incirlik had participated in the plot, and in the aftermath, utilities were disconnected from our portion of the base. It took days of patient diplomacy by Joe Dunford and others to cool things down, but from that point on, the Turks were always ready to misinterpret any thread of information as evidence of U.S. complicity in the coup. I found many in the U.S. government far too cowed by Turkish threats to withhold support from the counter-ISIS campaign or to align more closely with Russia. I considered such threats hollow. The more we waffled the worse the problem became. At some point, we needed to call Ankara’s bluff. In part because of Turkish sensitivities, the Obama administration never fully resolved the question of how to constitute the force that would assault Raqqa. It was possible to depend solely on the Syrian Arab Coalition, the Arab component of the SDF, to carry operations around Manbij and even tougher targets such as Tabqah, an important city on the route to Raqqa. Raqqa itself would be different. Seizing Raqqa would likely require arming and training Kurdish SDF forces—which would inflame the Turks. But at the Pentagon, at least, we understood from the start that the one force capable of taking Raqqa was the SDF, and in the fall, I made the case that we should provide the training and equipment they needed to do so. Just like Abadi and Barzani, our message to the SDF had been “You don’t get to keep what you take”—that Manbij, Tabqa, and ultimately Raqqa would revert to local control. The decision was delayed until, in the administration’s final weeks, the White House simply decided it was a decision the next administration should make. I was not involved in any conversations between the White House and the incoming administration, which according to news reports communicated through incoming National Security Advisor Michael Flynn that we should hold off on arming the SDF13. The Trump administration took longer than should have been necessary to make the choice, but when it did, it made the only choice available, and in May 2017, it decided to arm Kurdish elements of the SDF. By then, the envelopment of Raqqa was already well under way. The Gulf states had much incentive to aid the campaign, but contributed relatively little beyond talk. Just like the Iranians in Baghdad, the Gulf states were active in lobbying and PR that somehow never translated into battlefield action. I recall one conversation with a senior member of Congress, who had just come from a meeting with a senior diplomat from one of the Gulf states in which he had claimed a Sunni army of 70,000 stood ready to storm across Iraq and Syria and defeat ISIS. Why hadn’t I taken them up on the offer, the lawmaker asked. I replied, “Did he tell you 60,000 of them were Sudanese?” That apparently hadn’t come up in the conversation. The idea that a mercenary army from Sudan represented a good-faith effort on the part of the Gulf Arabs to deal with ISIS was unfortunately typical of their level of commitment. In meeting after meeting, I poked and prodded Gulf state leaders to commit to the fight. But there was always one more set of conditions that had to be met, one more set of excuses why now was not the time. We had many constructive security interactions with the Gulf states, but the counter-ISIS campaign was not one of them. The return on time and effort expended was not high for me or for other U.S. officials who made even greater efforts. There were reasons for this. Many of the Gulf countries had little usable military capability for the counter-ISIS fight beyond their air forces. Comparatively, their ground forces and enablers were much less capable. Moreover, there were deep historical reasons why the Gulf Arabs were reluctant to be too visibly active in Syria and above all in Iraq, and also reasons why such efforts would not have been welcomed by local forces and populations in Syria and Iraq. These factors would not, however, prevent the Gulf countries from assisting in the political and economic restoration that is essential to a lasting defeat of ISIS. Regrettably, the Gulf countries have so fall fallen short of doing what they can. There is important work remaining in eliminating ISIS’ metastases outside Iraq and Syria. In Libya, ISIS had seized on the chaos that followed Moammar Qadaffi’s ouster. The lack of an effective government there also complicated our response—the President, and allies such as Italy, with the most at stake, felt strongly that we needed the Libyan government’s support if at all possible before we took action in Libya. The emergence, and eventual UN recognition, of the Government of National Accord provided an interlocutor. GNA-backed forces with our air support ousted ISIS from its Libyan stronghold, Sirte, in December of 2016. Many of the ISIS fighters there, with their backs to the Mediterranean Sea, fought to the death—which is precisely what they deserved. But ISIS retains a presence in Libya, scattered in the desert, but real, and a challenge, because instability in Libya creates exactly the kind of ungoverned spaces in which ISIS can reconstitute itself. Afghanistan is another challenge. The picture there was messy enough before ISIS entered the picture; its presence makes an already challenging Afghan security picture even more challenging. That makes it all the more important to maintain our close strategic partnership with the Afghan government. President Ashraf Ghani and his political rival, Chief Executive Abdullah Abdullah, are both supportive of long-term engagement with the United States. Having a friend in that corner of the world is a tremendous boon for us, one we should not squander or relinquish. The alternatives to the U.S. and NATO for influence in Afghanistan—Iran, Pakistan, Russia, and China, not to mention jihadis—are not attractive. Though they receive far less attention than Iraq and Syria, or Afghanistan, our Southeast Asian partners have to confront ISIS as well—and many are eager to do so. Singapore and Malaysia joined the counter-ISIS coalition: Singapore’s highly professional military contributed imagery analysts and an aerial refueling tanker to the fight in Iraq and Syria; and as a majority-Muslim nation, Malaysia’s public embrace of the fight against ISIS had major significance. Australia, as is so often the case, brought immense capability and determination to the fight. These nations also recognize that ISIS seeks a foothold in the Asia-Pacific, just as al Qaeda and other terror groups have sought to thrive in a region that has a larger Muslim population than the Middle East. In December 2016, on my last overseas trip as secretary, we stopped in Bahrain to participate in the Manama Dialogue, a program sponsored by the International Institute of Strategic Studies. In my remarks there14, I recapped the progress of the counter-ISIS campaign—but I also wanted to leave the leaders of the region with a warning. Achieving ISIS’s military defeat, I said, now appeared nearly inevitable. “My principal concern at this juncture is that the international community’s stabilization and governance efforts will lag behind the military campaign,” I said. That remains my greatest concern today. The military campaign has set the stage for a lasting defeat of ISIS—but for the defeat to last, ISIS’s rule of terror must be replaced by stable, effective, legitimate governance—a responsibility that falls first on the people and governments of the region, but which will require sustained diplomatic, economic, and political support from the United States and the rest of the international community. Second, I told the audience that the countries of the region needed to do more to help themselves. Contrary to regular complaints about a perceived lack of U.S. commitment to the region, I said, the counter-ISIS campaign demonstrated our enduring leadership—no other nation, I told them, could have assembled and led the counter-ISIS coalition. “Our allies and partners in this part of the world are the ones who live here, and we can’t substitute for them—we can help, but only they can ensure lasting security,” I said. To those in the region demanding even greater involvement from the United States, I said, “it’s plain to see that all too often the ones complaining aren’t doing enough themselves.” Too many nations in the region had sat on the sidelines while ISIS grew, and too many had remained on the sidelines while an international coalition assembled to defeat the ISIS menace. The message I hoped to convey is that Middle Eastern nations needed to take some responsibility for securing the victory against ISIS—and for preventing the next extremist threat from emerging. It was not possible to complete the job on President Obama’s watch, but I was confident as I departed the Pentagon that I was handing to my successor a military campaign plan capable of dealing ISIS a lasting defeat. As of this writing in late summer of 2017, Mosul has been free of the last remnants of ISIS for several weeks, and the majority of Raqqa is in coalition hands. Air strikes have weakened ISIS in its few redoubts not already under assault, in Western Iraq and Eastern Syria. Russia and Turkey remain irritants who nonetheless cannot deflect the campaign. And despite a presidential promise of a “secret plan,” the coalition campaign under the Trump administration is largely on the same track we laid out for it over Christmas of 2015. 1 Baghdadi’s terror organization is called by many names: The Islamic State; the Islamic State of Iraq and Syria, or al-Sham, abbreviated ISIS; the Islamic State of Iraq and the Levant, abbreviated ISIL; or Daesh, from the Arabic pronunciation of one of its acronyms. At the Pentagon we referred to it during my time as ISIL, as did the White House; the State Department mostly used Daesh, as did some military commanders and spokespeople in the field. The Trump Administration has adopted ISIS, perhaps merely because the Obama White House used ISIL. I will use ISIS here as that also is the most common abbreviation in the media. From the start, I was less interested in what to call them than in how to destroy them. 3 I am grateful to many individuals who helped tell this tale. Among them: My former Chief of Staff, Eric Rosenbach; Peter Cook, my Press Secretary who for more than a year was dual-hatted as Assistant to the Secretary for Public Affairs; and Elissa Slotkin, the Acting Assistant Secretary for International Security Affairs. Thanks also to former staffers Jonathan Lachman and Gordon Trowbridge for helping research and organize the story. For Academic Citation: Carter, Ash. “A Lasting Defeat: The Campaign to Destroy ISIS.” Belfer Center for Science and International Affairs, Harvard Kennedy School, October 2017.